Does being ‘integrated’ pay off? The answer is “Yes”– in case you’re short of time. I’d like your thoughts in the comments below too. Since going freelance as an integrated creative I’ve found my time is packed, and with a split across many disciplines. Far from being seen as Jack of all trades, clients are seeing a benefit from being able to gain value from people who have proven skills across media such as writing, digital planning, design and photography. Specialists are still worth their salt, and as such can command high prices – many a large agency still require such dedicated skill sets – but I’m seeing more and more clients less willing to engage in multiple contractors, or agencies who do, and the costs which naturally go with such an agency model. I’m actively pursuing this unwillingness, and it’s paying off. During the last week my time has gone from one of digital design through project consultancy, to a week of FTSE 250 brand photoshoots. Not art directing, but shooting – putting into practice the skills I’ve learned in Agencies with my natural passion for photography inherited from a father skilled in the trade. 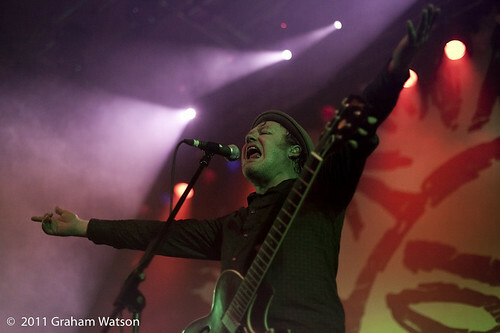 From being invited to shoot The Levellers‘ return to the world stage, through to shooting a new, natural and reportage style image library for a leading national brand. Being adaptable and dedicated is a skill brands are investing in heavily, and if you’re able to wear many hats, and wear them well, then the future is bright. Once the brand gives me clearance to promote the shots I’ll share them with you, in the mean time, here’s a link through to a sample slideshow from The Levellers‘ commission.